Are you watching the Taste on ABC yet?! I was hooked as soon as I heard about it, I love Anthony Bourdain and now I am pretty big Brian Malarkey fan! If you are watching,are you wondering what the first food Brian Malarkey learned to cook that he still likes to cook was? I can tell you, because he told me! His answer, Grilled Steak! One of my favorite foods too. We had such a fun Taste Tuesday twitter chat today. If you are not missing watching the Taste you are missing out! Catch the Taste tonight at 9/8c only on ABC. Join in on the Twitter chat by searching #TasteTuesday! 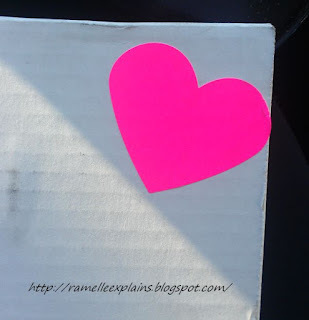 Influenster will you be my sweetheart? Skinny Girl Daily On-The-Go Bar in Coco-Nut flavor! Now tell me this doesn't sound like it's going to be an amazing time. I am so excited to try out all of these products and let you know how they work for me. I am so grateful that I have had a chance to be a member of Influenster and that I receive these products to test out! 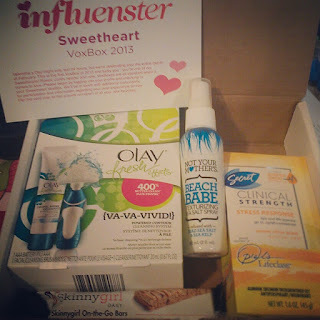 Thank you Influenster, Olay, Not Your Mother's, Secret and Skinny Girl Daily! Happy Sunday everyone! Today I am going to review Revlon's Colorburst Lip Butter! A friend of mine told me to try this product out when I told her I was in need of some new lip colors that weren't too glossy but still would hydrate my lips. I am a cherry chapstick addict, ask anyone close to me I am a freak when it comes to it. 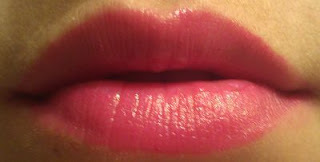 However, since I am on my "I am 25 and it's time to be a girly-er girl" kick, I am trying to use lip sticks/glosses with color. 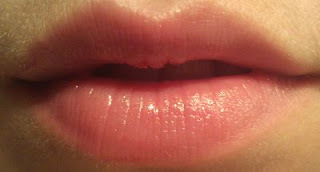 "- Buttery balm with beautiful shiny color to give you baby soft, healthy glowing lips 94% of women felt lips were softer, smoother, and instantly hydrated." Now they make no claim of how long the wear should last or claim that it is like a chapstick. 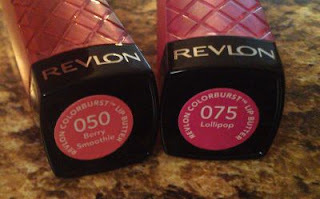 The colors are 050 Berry Smoothie and 075 Lollipop. 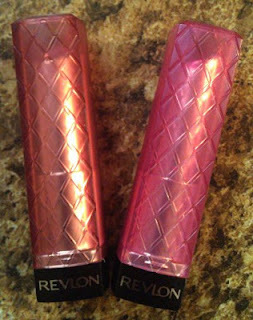 I love the tubes they come in, they are super cute. According to the Revlon website there are 20 different shades you can try. I purchased these at CVS and they only had about 7 shades in stock. I actually ended up wearing this to a friends wedding last night, this is a great color if you have make up on and you are going out, for every day wear it wouldn't be my favorite. At least not for someone with skin as light as mine, I definitely think you need to have at least your make up done to wear this color. I love love love this color, it is actually pretty similar to my normal lip color however it is a little bit more pink and a lot more glossy! This is great for everyday wear or to wear for a night out. This is so far my favorite color out of the two! While there are 20 or so shades and they do make your lips super glossy, it seemed I needed to apply this lipstick about every hour or two. I do like lip colors that last a little longer even if I am sipping on a drink or two, I don't want to have to keep reapplying color. While the color is fresh on your lips it does make them super soft almost like a chapstick feel, but that feeling does disappear pretty fast. I would like to try more of the shades, however I think that I will still keep my chapstick and/or clear gloss to put on under and over the lip stick and hopefully that will help it last a little longer. Overall I would rate this product a 7 out of 10! This review is in no way endorsed by Revlon. Braces off after round 2! I had braces from 12/13 years old until I was 18. Silly me, being 18 did not wear my retainer properly and when my wisdom teeth started to come in my front teeth became crooked. I had the dreaded "snaggle tooth", it wasn't horrible but I hated it. I decided I would get braces again for myself, being 24 (at the time) I did not want to have crooked teeth any longer and even though I thought it would be so embarrassing I took the leap. My braces were put on on 02/13/2012 I had clear ceramic braces on the top and traditional metal ones on the bottom. Now, from my personal experience the look of the ceramics was great you could barely see them. However, when I went and had them off yesterday it was way more painful then just having the traditional braces removed. Apparently the ceramics tend to stick more which makes them hard to get off, as well as when they are trying to get them off they tend to break into tiny pieces, so I had pieces of braces in my mouth and everywhere else. That was really the only downside to them. Below if my picture from yesterday 2/11/2013, I love my teeth! 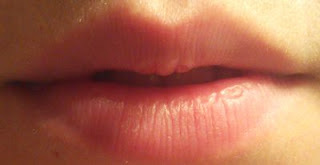 My gum line is crooked, there is nothing we can do about that unless I want surgery, so it makes my smile look a little off but it's not enough to make me upset! Overall the process went by SO FAST, was not as embarrassing as I thought it would be and I am so much happier now. 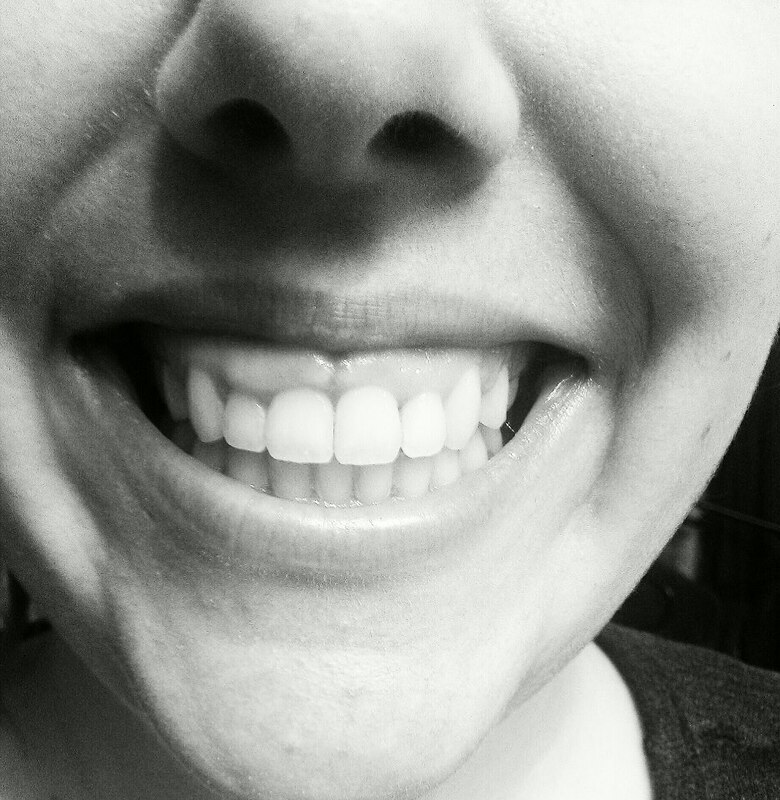 PLUS, now I can use the crest white strips advanced that Influenster and Crest sent me. I'm so excited to have a pearly white smile, I used my first strip yesterday! The retainer is not bad, I received the Hawley retainer this time, before I received the plastic clear ones. The only down side to the Hawley retainer is I have yet to figure out how to talk normal, but I'm sure I will eventually! I have seen this idea posted on pinterest plenty of times, frankly I am not a huge egg fan but I know they are good for you and I needed a convenient and fast on the go breakfast. SO i tried the whole eggs in a cupcake pan in the oven thing, I used some hot peppers we got a the farmers market as well as some turkey sausage mixed into the egg whites! 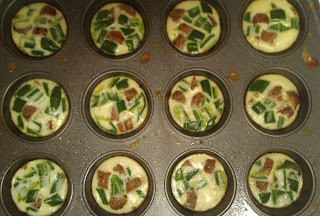 Preheat oven 350 degrees, Grease Pan (olive oil/pam), poor mixture into cupcake pan (can do just eggs), cook 10-15 minutes- I just sort of poked at them until they felt like they were ready.... store in fridge in plastic bags, grab and go or place on toast/bagel! 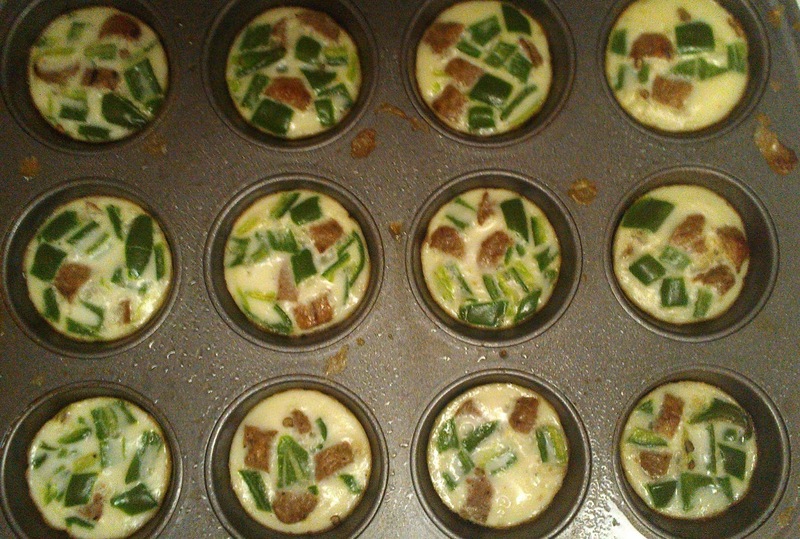 Place them in ziplock bags and grab and heat for an easy breakfast! Simple, fast meals, for a mom on the go!